Shipment(s) will be picked up & delivered within 8 hours from the time the order is ready. This service is available up to 10:00am, Monday through Friday. Shipment(s) will be picked up & delivered within 4 hours from the time the order is ready. This service is available up to 1:00pm, Monday through Friday. Shipment(s) will be picked up in approximately 1 hour & 30 minutes from the time the order is ready & delivered immediately. This service is available up to 2:00 pm, 7 days a week. Shipment(s) will be picked within approximately 30 minutes from the time the order is ready & delivered immediately. This service is available 24 hours, 7 days a week. Bottom Line Delivery is also available on the weekends, with 24 hour same day service available on Saturdays and Sundays. 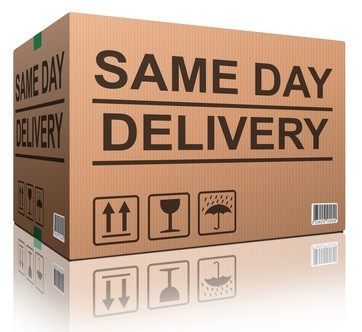 Pickup & delivery times are individually set based on the need of the customer.